So we have been experiencing quite the winter weather this year, what with the polar vortex and all, making a day like today (19ºF, what?) feel like springtime. In my personal life, things have been pretty normal (that means great) and academically I’ve been making substantial important progress on my dissertation and am where I need to be for right now. Work wise, I continue to enjoy the work I do. So why the doldrums? Is it more than an endless winter? Lately it seems that a fair number of people I know have been more than a little frustrated by life on a systemic, more than personal, level; in the academy (for academics and/or graduate students) or in the profession (for social workers) and in the adoption community. I am definitely no Pollyanna to begin with, so all the news I read easily makes me feel a little more pessimistic about the state of our world and my fellow humans. I inherently believe in the strengths and empathic capacities of people, but wow, do our institutions often just wear us down until it feels we are all playing a more polite, yet just as ruthless version, of the office-place hunger games. I admit I sometimes need to skip through my facebook and twitter feeds because of all the dismal and wretched news about the academic landscape. Since this is what I hope(d) to be someday when I grew up, it’s disheartening. In addition to the dismal academic stuff, there is all the frustrating news I read, hear about or witness regarding the way the system chews up and spits out social workers and clients alike – and particularly in child welfare and adoption, my areas of professional and academic interest. Yesterday at a department meeting, a colleague I respect a lot talked about changing the paradigm of “preventing burnout” to “sustainability” and that clicked something in me. 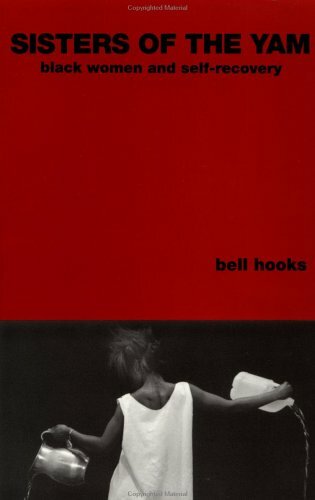 Several of my women of color friends in academia and I have discussed Audre Lorde’s “Caring for myself is not self-indulgence, it is self-preservation, and that is an act of warfare” and read bell hook’s “Sisters of the Yam” as preventative measures against burnout. In every social work class I teach, I bring up the concepts of burnout, secondary trauma, and vicarious trauma, all related but slightly different concepts (at least in the way I have conceptualized them). Because social workers are often working with clients that are or have experienced trauma (both crisis and sustained), they are susceptible over time of experiencing burnout, secondary trauma and/or vicarious trauma themselves. It seems to me that once upon a time we talked in hushed whispers about “burn out” typically when referring to someone we knew who was crabby, mean, sometimes overtly hostile to clients, or maybe generally unprofessional. When the shift toward viewing burnout as a symptom of vicarious and secondary trauma came, it felt more strengths based in that at least we could recognize the behaviors as being symptomatic of a larger issues and could see our colleagues as more than their symptoms (novel idea – we often forget this). I like thinking about this in terms of sustainability. Sustainability is even more strengths focused. Social work in general, despite it’s value in strengths based perspectives, still tends to focus on symptoms to be managed instead of people and communities to grow and thrive. How do we support each other in our personal and collective self-care, in a profession that often not just expects, but requires, us to go over and above on a regular basis? How can we look at each other’s self-care activities and think of them as being integral to long-term sustainability in the profession, rather than being selfish or disengaged? My partner sent this to me today, knowing that it warms my social work-y heart. I think that social workers often feel that this is a no-brainer. I haven’t yet met a social worker who went into the “business” for money and financial reward. In fact, we brag about it sometimes, don’t we? Yet, the reality is that many social workers who work in government or public social services do feel tied to “the golden handcuffs” – making more money than in the non-profit world. We are always concerned in public child welfare, for example, on how to improve worker performance. Child protection workers, due to the nature of the job, often make more money than other public social service workers, for example. Yet even with the higher salaries (compared to other social work jobs) and government benefits, there is a lot of worker turnover. I thought this video was intriguing for a number of reasons. First, it highlights the idea (based on research) that $ tied to performance does not improve worker productivity – in fact it makes it worse in many cases. Second, I liked the idea that giving workers a sense of mastery and autonomy is huge in increasing worker productivity. Which leads me to wonder how much this also applies to our “clients” or the people who are served by social work services. We talk a lot in this profession about autonomy, mastery and empowerment. I talk a lot about parallel processing; how much more would child protection workers be able to help families actualize these concepts if workers themselves felt it was achievable in their own lives?